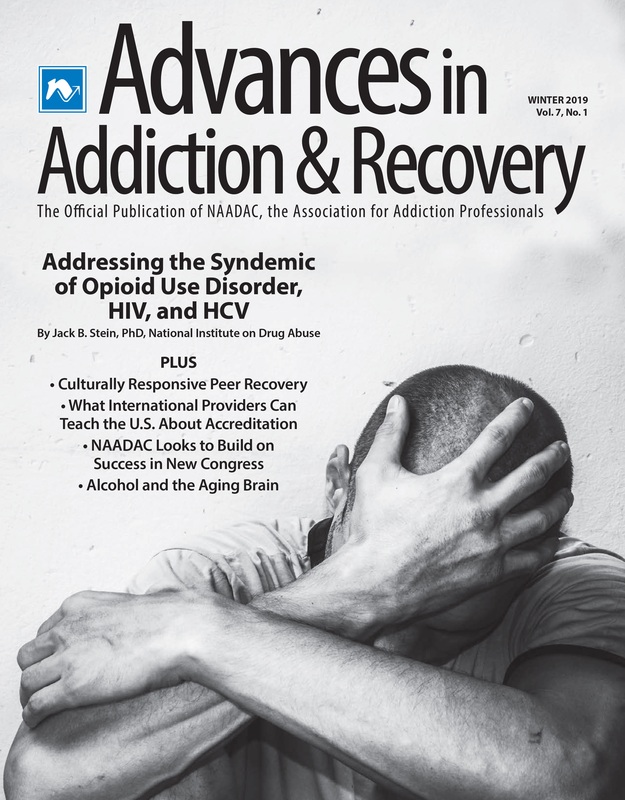 Advances in Addiction & Recovery, the official publication of NAADAC, is a quarterly magazine focused on providing useful, innovative and timely information on trends and best practices in the profession that are beneficial for practitioners. Advances in Addiction & Recovery was formerly named NAADAC News. Interested in advertising in the magazine? Click here for more information. We are interested in accepting any interesting and topical articles that address issues of interest to addiction-focused professionals. Have a story idea or article that you'd like to submit? Contact Managing Editor, Jessica Gleason, and share your story idea. To submit an article for publication, email the article, a short biography (125 words or fewer), and a print-worthy photograph (file size at least 500 KB - 1 MB or more preferred) to Jessica Gleason by the deadline listed below. All articles not meeting the publication guidelines listed below will be rejected. Please note, submissions that do not follow NAADAC's publication guidelines will be rejected without further review. Submissions must contain original work that has not been published elsewhere and is not subject to copyright. Submissions must not contain information that promotes unethical activities or business practices. Submissions must for columns must be 1000-1500 words. Submissions for feature articles should aim to be 1500-3000 words. Please contact the editor if you would like to submit an article longer than 3,000 words. Submissions should use properly formatted APA end note citations and references. Articles without properly formatted APA citations will not be accepted. Click here for formatting examples. Submissions without citations and references should be clearly marked as an opinion piece. Authors must submit a short biography (125 words or fewer) and photo to be appended to the article. Photos need to be at least 500 KB in file size (1 MB or more preferred) and in .jpg or .png format. Final published biographies will be up to the editor's discretion. This is not a peer-reviewed journal; submissions reporting on original data collection should be submitted elsewhere unless data was collected through NAADAC's PhD Survey service. Our magazine can review findings printed in peer-reviewed journals and discuss the implications of that research to the addiction or other helping professions. If you have questions, please contact the editor. Editor reserves the right to refuse publications, edit and/or condense submissions. NAADAC requests that presenters refrain from using terminology that perpetuates the negative stigmas surrounding those with substance use disorders or living in recovery. Instead of "addict," use "person with a substance use disorder"
Instead of "alcoholic," use "person with an alcohol use disorder"
Instead of "drug/substance abuse," use "substance use disorder"
Instead of "former addict," use "person in recovery" or "person in long-term recovery"
NAADAC members can access full version by logging in.